What kind of foundation is your home on? Posted May 3, 2016 by - filed under Foundation Repair. What is your home resting on, and why does it matter? Do you know if your home is sitting on a slab, crawl space or a basement? These are the three main types of foundations that are available. The foundation or foundation walls your home rests on is determined by building codes and the location of the home. Other conditions such as the frost line, the soil composition, water levels and drainage can play into the type of foundation your home is built upon. Slab foundations are typically poured concrete and sit directly on top of the ground. It can be difficult to deal with home maintenance issues without dealing directly with the slab foundation. Crawl space foundations are typically built with blocks and have approximately 2′ or more space between the ground and the floor joists above. This allows you to deal with some home maintenance issues, but moisture and pests tend to be an issue. Basement foundations are either poured or built with blocks, and will have standing height space between the ground and the floor joists above. This space can be used for storage or additional living space, but water intrusion can be an issue. If you think about it, a foundation system is like a big tub. Your goal as a homeowner is to keep water and moisture out from the area under the home, so that the home can maintain its structural integrity. 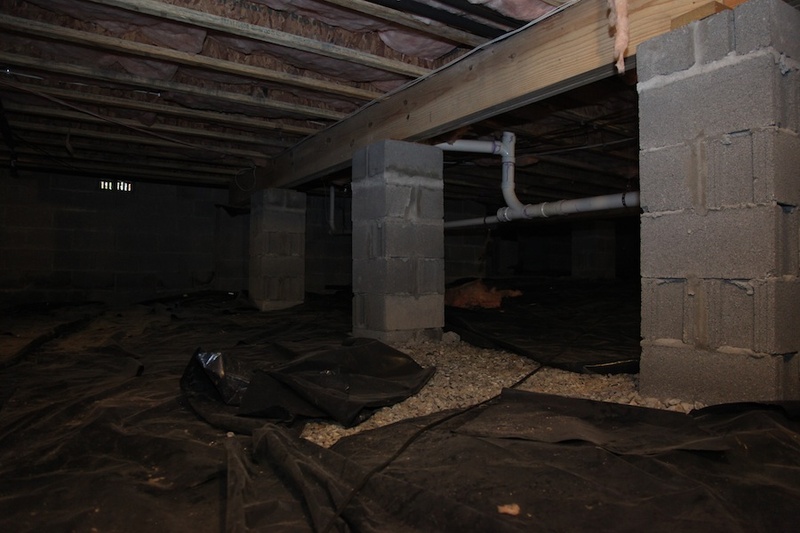 Vapors can cause floor joists to rot and sag in a crawl space, and water intrusion in a basement can be destructive.